Qscout is a entry-level robot building & coding kit. 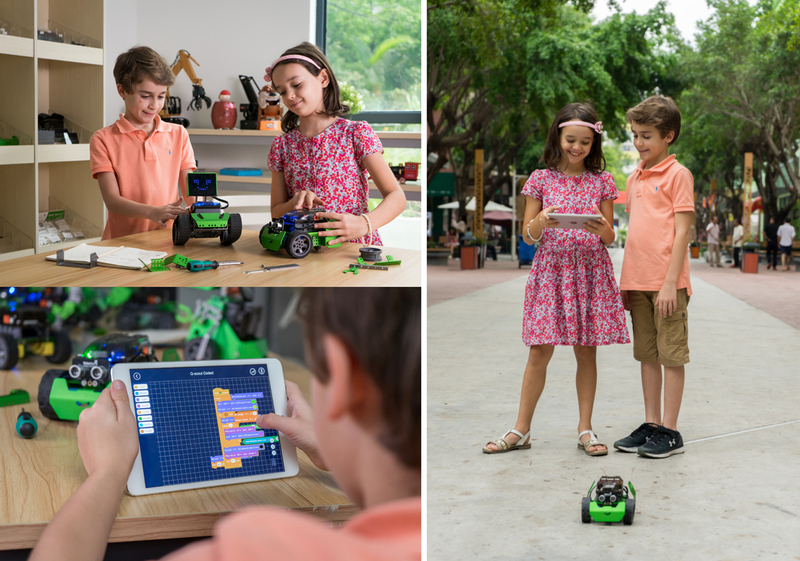 This cute robot has 20-minute building time, along with a Scratch 3.0 based graphical coding environment. Featuring ultrasonic obstacle dodging and automatic line tracking, Q-scout is fun scientifically with expanding capabilities. Q-scout is the best option as a kid's first robot. A real robot building experience with metal. This is a cost-friendly and easy-to-use robot building platform. Ultrasonic & line tracking sensors are scientifically fun and adequately programmable. The ever-growing list of sensors and electronic modules contribute to a complete robot building platform. Starter kit, no requirement needed. Open and play, embedded buzzer for quick music composing; Smart line track. Create your own APP; Customize widget to meet your special needs; Ultimate control of your own robots.